In the 1990s, the average office was a rather beige place. Computers came in various shades of cream, and the most interactive bit of kit was the dot matrix printer in the corner. These days, you can’t move for weird boxes and gadgets in the workplace, and it’s not always easy to tell the difference between the video projector and the coffee machine. Looking to future-proof your place of work? Here are seven gadgets you’ll simply have to have. If you spend a bit too much time sitting on your behind, the Trek Desk could trim up your wobbly bits to a tee. 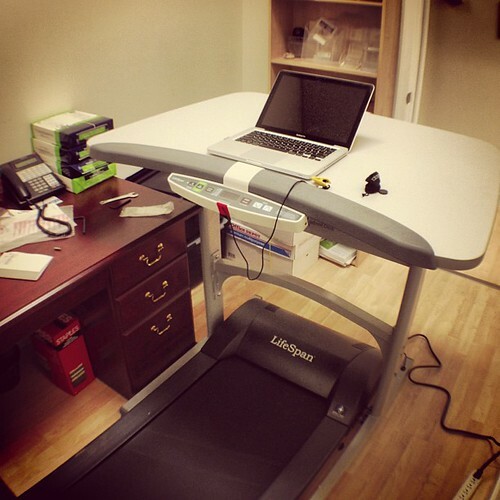 It looks like a modern torture device, but this workstation-treadmill claims to let you walk as you work without sweating. And with two cup holders, there’s plenty of space for your isotonic energy drink (and/or calorific Starbucks gingerbread latte – your mileage may vary). In an era of smartphones, smart homes and smart toilets, the smart pen sounds rather mundane. But this little gadget links your analogue handwriting to your digital devices, transcribing everything you write back to your tablet. 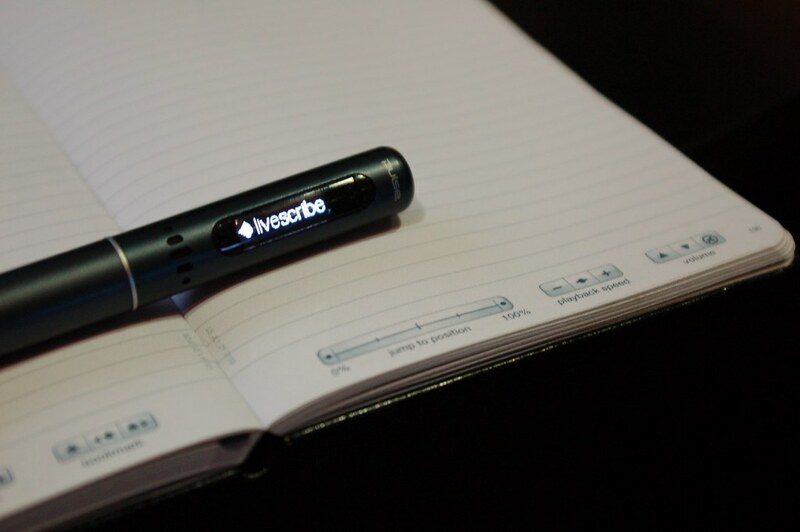 The LiveScribe+ app converts your scribblings to text and can store them in Evernote too. This particular wand won’t turn you into Harry Potter, but it will help you get those old photos online quick smart. Simply wave this tiny VuPoint Magic Wand photo scanner over a picture or document to digitise it in seconds. With 300x300dpi resolution and a microSD slot, you’ll never lose a receipt again. There’s an unwritten rule in gadgets: if it has a laser, it’s cool. And sure, the Celluon keyboard might not be a Spyder, but it still shines bright. It projects a QWERTY keyboard onto any hard surface, and it will even track mouse movements as you move your hands. The manufacturer claims an ‘effortless’ typing experience, but the lack of haptic feedback feels unnerving. We spend most of our lives gawping at screens and prodding little squares of light with our fingers. If your better half isn’t already fed up with your smartphone obsession, this 100-inch touchscreen desk will send them over the edge. Made by Ideum, the Pano is designed for exhibits and museum displays, although it would make a rather nice coffee table, too. It features 40-point touch capability, and can accommodate eight users at the same time. Long hours, late nights and lots of coffee: the life of a first line tech support engineer is tough. The Ostrich pillow-hat is here to help you enjoy a little downtime when the phones stop ringing for a while. This space age headgear makes even the most awkward under-desk snooze refreshing, and you’ll soon be ready to leap back into action. You really can’t call yourself a gadget freak if you don’t own at least one gadget made from bamboo. Impecca has developed a calculator that’s encased in this beautiful material. It’s custom carved for an individual look, although it’ll still match your bamboo iPhone case, bamboo mouse and bamboo nerd glasses. Got any futuristic office tech you can’t bear to be without? Share your photos in the comments, and let us know.